Global markets are higher so far as the latest jobs data from the US is awaited. The figures from the Labor Dept. due to 8.30am ET will provide insight into the economy and a pointer on interest rates. Oil prices meanwhile have dipped slightly after a rally in the previous session. Asian markets closed mostly higher with Shanghai gaining more than 1 per cent on a stronger yuan against the greenback. Other indexes saw more modest gains with the South Korean KOSPI closing lower. 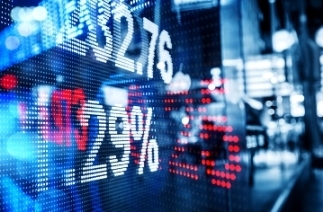 European markets are up slightly ahead of the US jobs data and regional corporate earnings. Large corporates who avoid paying tax by using subsidiaries in lower tax regimes continue to face pressure from tax authorities. The US and European Union are among the authorities closing loopholes which allow firms to escape tax bills in many jurisdictions by diverting funds elsewhere. It’s been announced Friday that Facebook will now pay millions of dollars in additional tax in the UK, rather than filtering advertising revenues from its largest UK clients through Ireland. There was anger when it emerged that the firm, one of the world’s largest, paid just over £4000 (C$7,500) in tax in 2014.